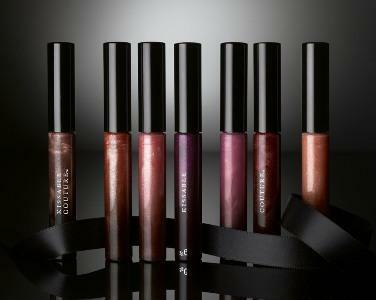 This past spring, Keisha Whittaker's lip gloss line was released and fans are raving about the non-tacky, glossy lip line. Keisha Nash Whitaker is a well known Ford model and wife to Oscar winning actor Forest Whitaker. Because the most common spelling of her last name actually has two T's, many search engines pull up her name by searching for "Whittaker" instead of the actual spelling of her name, which is "Whitaker". You will see her name spelled both ways in this article to help those who are searching for information on the model and her makeup. However, the correct spelling is "Whitaker". She was born in 1972 in Boston, Massachusetts. She has three children, two with Forest Whitaker and one daughter from a previous relationship. In many ways, and despite her beauty and glamour, Keisha is an ordinary girl. During an appearance on Oprah, she confessed to loving Ritz Crackers, Slim Jims and Hanes T-Shirts. With this kind of taste, it's little surprise that Keisha Whittaker lip gloss is so fabulous. Keisha Whitaker's lip gloss is called Kissable Couture. A couple of years ago, she teamed up with friend and celebrity makeup artist AJ Crimson to create the Kissable Couture line. Right now, Kissable Couture offers three collections. Forest: A brilliant and deep crimson-red. David: A neutral brown that goes with anything. Tyler: A deep purple shade that goes well with dark skin tones. Eric: Orange with a touch of brown. Almost a burnt pumpkin color. Chris: This color is a medium-tinted peach and goes with almost any skin tone. Subtle enough for every day wear. Dylan: A medium pink that creates a soft, dewy look. Johnny: A very pale plum color. Fantasies: A deep red that creates a bold fashion statement. Perfect for a night on the town. Dreams: A very pale pink that adds just a hint of color and gloss to the lips. Bliss: A pinkish mauve color that is neutral enough to wear with anything. Innocence: This is the lightest shade in the collection. 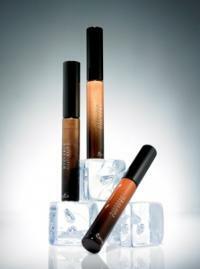 With just a hint of caramel color, this gloss looks great on anyone and can take everyday drab to always fab. Honesty: A little more color that reminds you of toffee. This one also has a bit of glint that will reflect in the light and give you even more shimmer and shine. Exposed: This is the darkest color in the nudes line and is more of a deep bronze. It also has a lot of added shimmer and sparkle. Expect to see the line expand into even more stores and retailers in the near future.